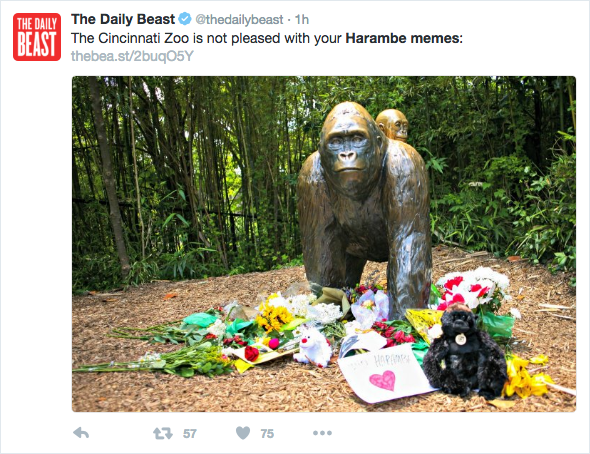 The Cincinnati Zoo is “not amused” that people are making memes and signs for the gorilla that was shot dead after a three year old boy managed to make his way into the gorilla enclosure and came face to face with the gorilla named Harambe. 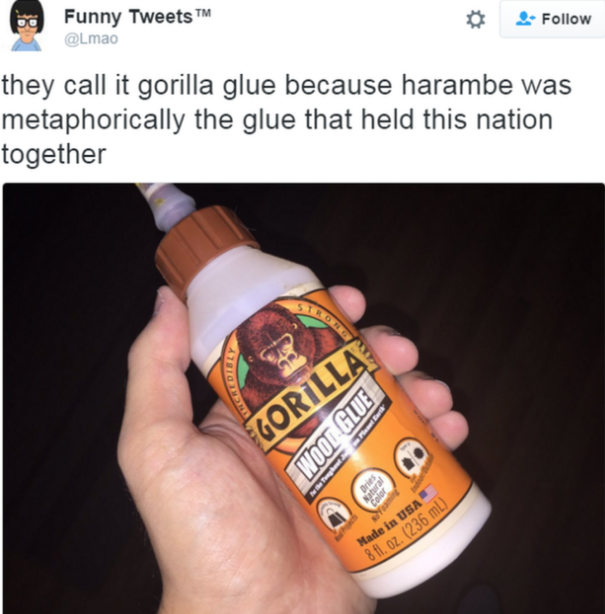 Then Harambe dragged the kid around like a rag doll. 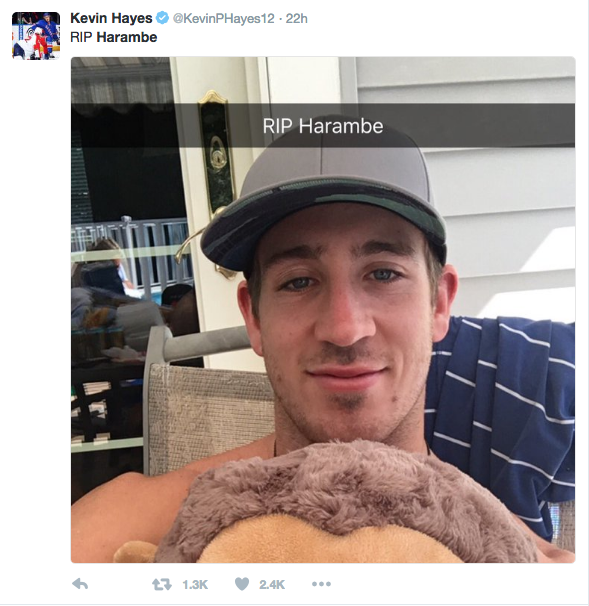 After getting into the enclosure in late May, the boy was grabbed by Harambe and dragged around the enclosure. 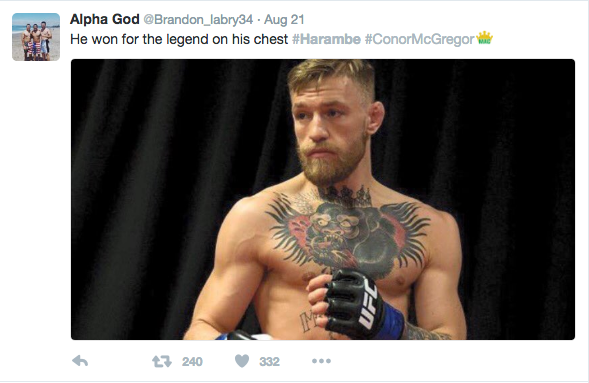 This prompted a zoo worker to shoot and kill Harambe with fears that the boy would be killed. 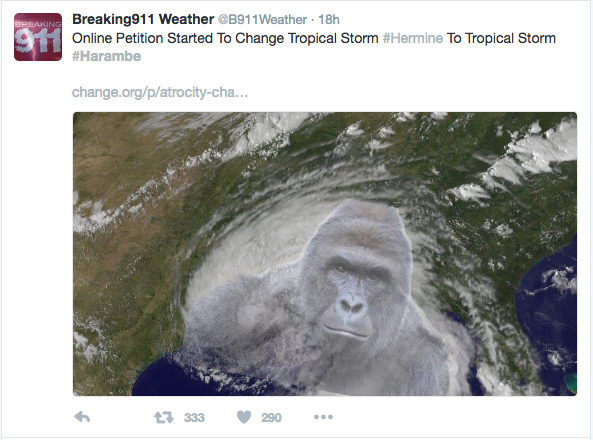 Harambe has been turned into memes, signs and petitions as a joke by several campaigners and jokesters. 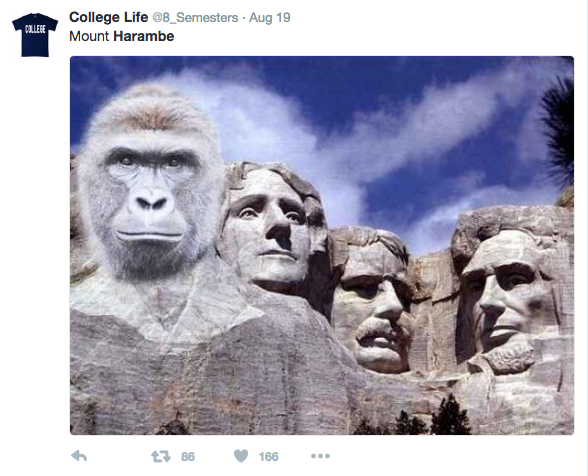 Since the incident, social media interest around Harambe has spiked and in recent weeks, his name’s google search has reached similar levels to that of when the news of Harambe’s death first hit the internet. 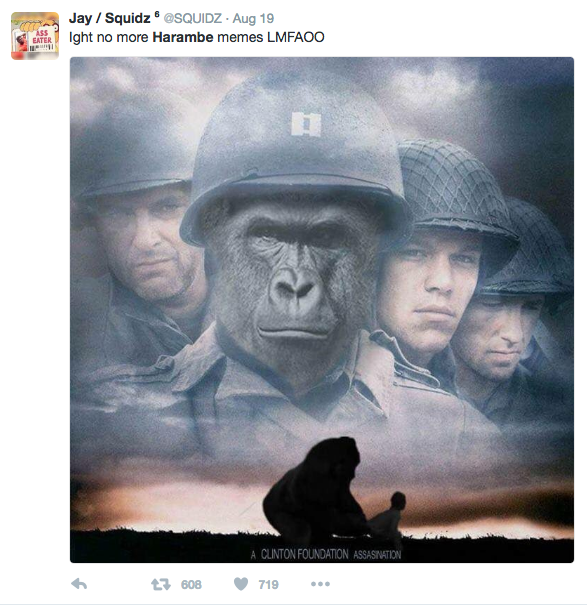 The Cincinnati Zoo responded by saying that the Harambe’s death was no joke the staff is having a difficult time moving on. 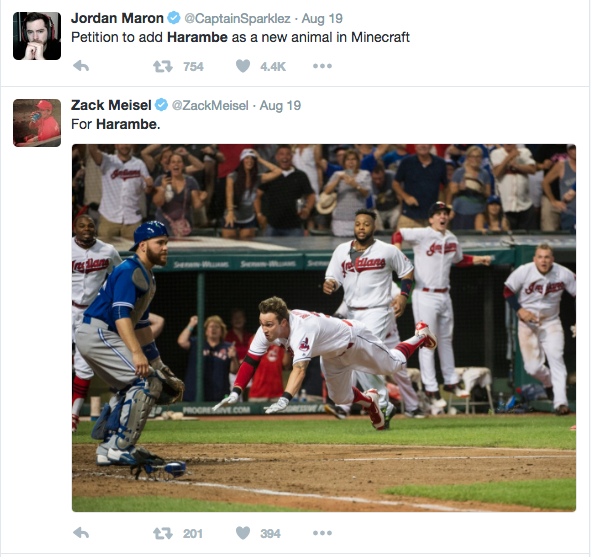 Over the weekend, Maynard’s Twitter account was hacked and the Cincinnati Zoo’s tweets have received a lot of replies that involved Harambe. 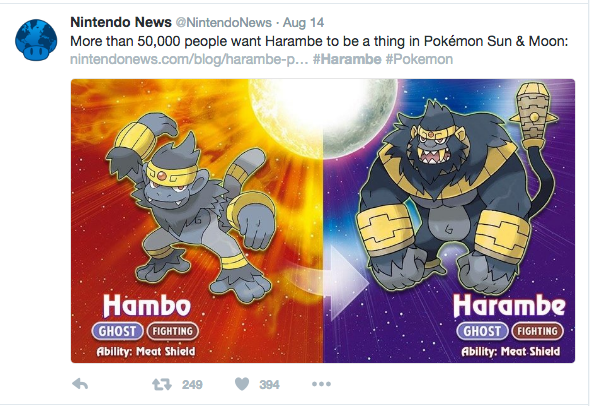 Many people have said the jokes about Harambe should stop because of the controversy surrounding his death. 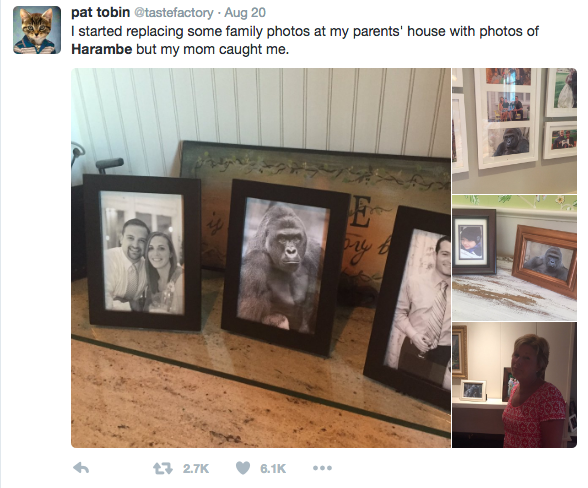 This includes whether or not he should have been shot or whether there were enough barriers to prevent people from getting inside the gorilla enclosure or whether the mother of the three year old boy who managed to get inside the gorilla enclosure should face charges.